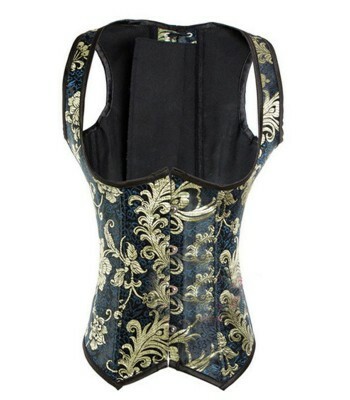 Under breast corset with buckles. Metal clasps at the front to facilitate the insert and remove the corset in the back with crossed satin ribbons. It is leatherette and has plastic rods. Pair it with some leggins.